Five years after the adoption of Wisconsin’s wind siting law (2009 Act 40), Wisconsin’s Wind Siting Council, a 15-member stakeholder body created by that law, prepared and issued a report reviewing pertinent peer-reviewed literature on the effects of wind generators on human health. The report also includes a study of state and national regulatory developments regarding wind siting, and discusses current policy trends regarding the siting and permitting of wind energy systems. Both the Public Service Commission (PSC) and the Legislature received copies of this report. The report is accessible on the PSC’s website here. In the years following the development of Wisconsin’s wind siting rule (PSC 128) in 2010, council members collected literature addressing health effects of wind energy systems. The Council restricted its review to literature that specifically focused on human health. Pertinent literature included empirical research, reviews and opinion articles appearing in peer-reviewed scientific journals and reports from government entities, an example being the January 2012 report issued by the Massachusetts Department of Environmental Protection and Public Health. Nine publications based on cross-sectional surveys of individuals living in the proximity of utility-scale wind energy systems have been conducted or analyzed since the Council’s 2010 recommendations. Some individuals living in the proximity of wind systems may experience annoyance and a small faction report sleep disturbance due to wind turbine operation. Stress and sleep disturbance may be related to chronic health conditions. There are substantial differences in how people report their perception of wind energy systems and a negative perception affects whether an individual reports adverse health effects that they attribute to wind energy systems. The majority of individuals living near utility-scale wind systems do not report stress, sleep deprivation, or chronic health effects attributed to wind turbines. “Although there are several publications arguing that noise from wind turbines directly causes adverse health effects in humans, based on the peer-reviewed literature, it appears at this time that there is insufficient data to validate this scientific conclusion. It will be a priority of the Council to continue surveying the peer-reviewed literature to determine if this consensus changes, if a viable mechanism of "infrasound and low-frequency noise"-caused adverse health effects is shown, and if the medical community identifies a disease associated with wind-turbine noise exposure. Although important and indeed ground-breaking research is clearly being conducted in the field of wind-health interactions, the Council is unable, at this time, to conclude that wind turbines have a direct and negative effect on human health. "Wisconsin's wind siting rule, Wis. Admin. Code ch. PSC 128, is the product of an extensive and transparent review process and has been in effect since March 16, 2012. Absent any specific information arising from a wind project reviewed and approved under PSC 128, and based on the survey of peer-reviewed scientific research regarding the health impacts of wind energy systems, and the study of state and national regulatory developments regarding the siting of wind energy systems, the Council majority finds no reason at this point to recommend legislation regarding the siting of wind energy systems." 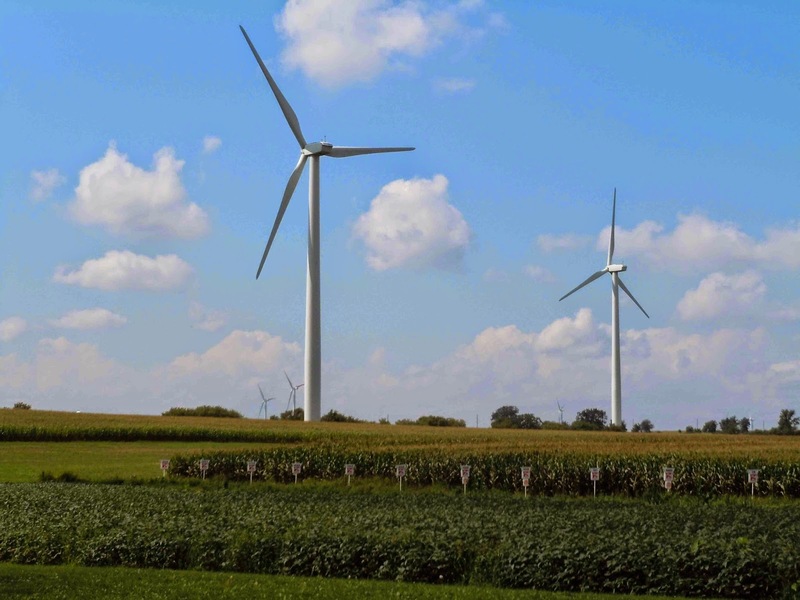 One week following the issuance of the Wisconsin Wind Siting Council’s report, the Canadian government released its Wind Turbine Noise and Health Study. In that study, researchers from Health Canada and Statistics Canada conducted a door-to-door survey involving more than 1,200 households in Ontario and Prince Edward Island. The study found no cause-and-effect relationship between wind turbine noise and any negative health indicators identified through the testing.